Milverton played Balrothery on Tuesday 24th of April. The fixture was due to be played in the Vineyard at the Hill CC but had to be switched due to the weather. Thanks to Balrothery the game was moved indoors to North County. In a very entertaining game, Captain Emily O'Sullivan and her teammates played very well. On the day Balrothery were the better team and won the game. Well done to all who played in a very sporting game. The Boy's cricket team kicked off their season in great style on Wednesday 25th of April. 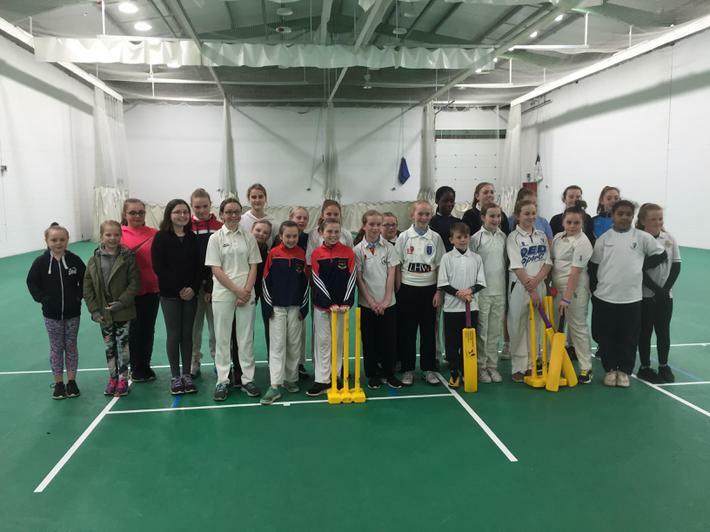 The fixture was played at North County CC and like the girl's team our opponents were Balrothery NS. The match proved to be very one sided with Milverton scoring 109-1 and Balrothery scored 6 all out. Milverton won by 103 runs. Well done to everyone on a very sporting game. Best of luck and have fun to all those taking part.